I have always been a curvy woman, the smallest I've ever been as an adult was a size 10. And I had to work really hard at the gym to get there. Make no mistake, I am a foodie. I LOVE, LOVE, LOVE mac n' cheese, bread and cake and I just don't want to give them up. Yet, there are moments, usually during the Summer that I hear that voice saying that I need to lose some weight. I know that voice very well. It's been with me for a good portion of my life telling me; if you would just lose the weight for good you could stop keeping those dresses that are too small in the back of your closet. Oh wait it's been a while since you've worn the smaller pair of jeans. You know the ones you bought along with the larger size just in case. Can you still get into them? What if you can't? The larger pair are in the laundry. What outfit are you going to put together then? There are times when my mental companion motivates me to deal with my issues, but that's rare. Most times I feel self-conscious, and disappointed that I am not as small as I used to be. I'm sure my experience is shared with a lot of American women, whether curvy or skinny. We have all been affected in some way by this fantastical ideal fabricated by people who don't even know us personally. Yet, when your BMI (body mass index) falls on the higher end of the scale, you feel the pressure to come into line, that somehow your worth and attractiveness is connected to your weight. I've spent the better portion of my life preoccupied by how big my muffin top happened to be and measuring my beauty by a number on the scale. I'm thrilled that the stigma and shame that was once shunned and ignored is now being acknowledged and celebrated. Major magazine covers are featuring curvy models, big-box department stores are using curvy models more often in their advertising. And bridal designers have either created an additional collection specifically for curvy women, expanded their size charts or are patiently waiting to see how this trend goes before jumping into the fray. Let me be clear, I LOVE that brides have more options in wedding gowns these days. Whether traditional or boho it's important that a bride's wedding reflects her and her groom's personal style. I'm grateful to carry collections in Curvy Rose that are designed for the curvy bride. My thing is this, dressing a curvier woman requires more than just an expanded size chart, a watered-down style of the flagship collection, or a few styles to choose from. Curvy women as with all women, deserve the styling, details and options that reflect her style, regardless of her weight. Plus size bridal is new and a lot of designers don't understand the specific needs of that market. There's definitely more to it than adding larger sizes. Styling, construction and a variety of designs to choose from are just as important.... At the end of the day profits must be achieved and I get that. If they change their minds, let me know. I'd be more than thrilled to add them. I'm confident they would sell in my store. This designer didn't have a dedicated collection for the curvier woman yet, their styling and construction were so on point. Their gowns had exquisite beading and some gowns featured ruching around the waist, which is a flattering style on most women. Their use of fabric and thoughtful use of illusion backs were unique even for the curvier bride. It's too bad that Curvy Rose won't be carrying them. 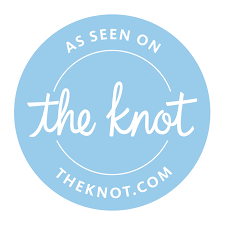 My sister and I spend much of our free time scouring the globe for designers that reflect the quality, styling and options that all brides, adore. Our current focus is finding boho styles to add to our collection. The market is full of many beautiful boho looks, but sizing in 20+ remains a challenge. I'm not quite sure why this is so, considering that the average American woman is a size 14 and in some regions a 16/18. One thing is for sure, the curvy woman is not a trend. I just hope that one day this current bandwagon gives way to the universal acceptance of a woman's beautiful curves regardless of her size. Until then, Curvy Rose will continue to join others in the movement for making that dream a reality.